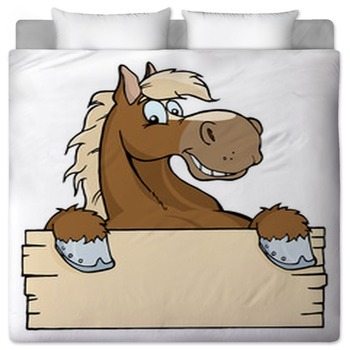 Cow prints have been a popular bedding choice for many years. Western bedding holds its roots in such patterns. 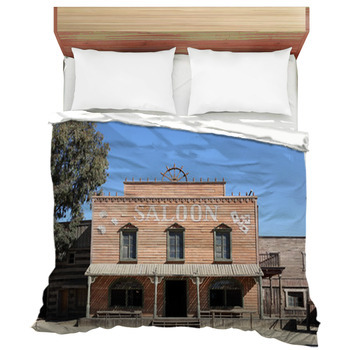 However, the old prints of solid whites with black spots, have fallen to the way side, as new and true western photographic bedding sets have emerged by VisionBedding. The old designs have been replaced by real life images of roping cowboys, wild horses and western landscapes. 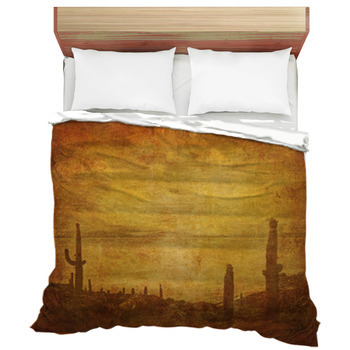 Realism is portrayed in every inch of our rustic wild west themed bedding. 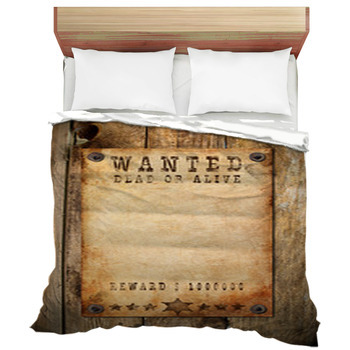 Search our gallery of over 500 western themed designs from the shoot out at the ok corral to a wanted poster or even a rustic saloon. 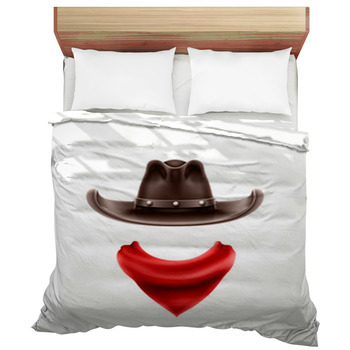 For the true westerner at heart there is no better selection of bedding! Horses and ranching, on the other hand, are closer to the real west than any other image. Rustic designs with a stable of horses running freely amidst fields of wild grasses, propose relaxation and freeness to slumber. 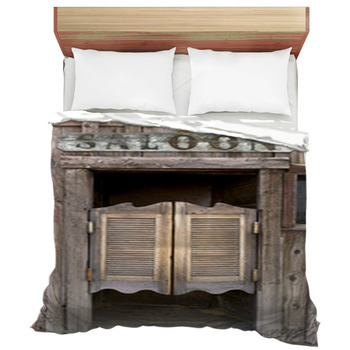 All these and much, much more are available with the thousands of western bedding designs available. 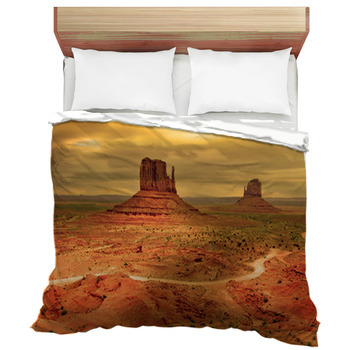 From cowboy to cowgirl, VisionBedding has the western styles you are looking for! 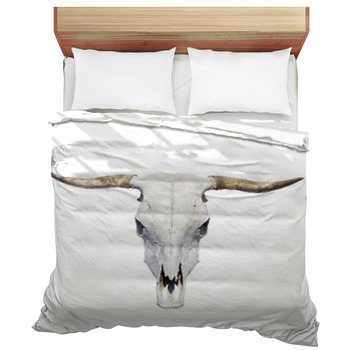 The mixture of the wild and the free is like no other and definitely not your standard bedding choice. Denims and red bandannas are symbols of western life just as wagons and cowboy boots. 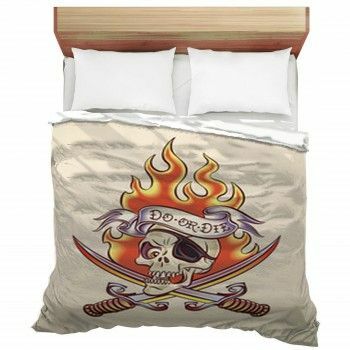 You can have all those designs on your bedding as well, simply search through our gallery. 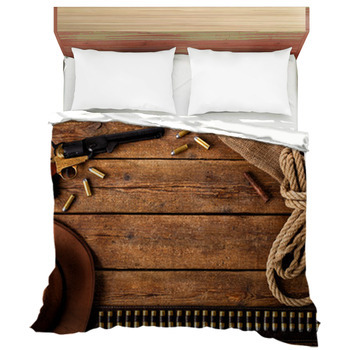 You can add a western pillow to your themed bedroom creating a scene of the Wild West and finish it off with our western themed wall art. 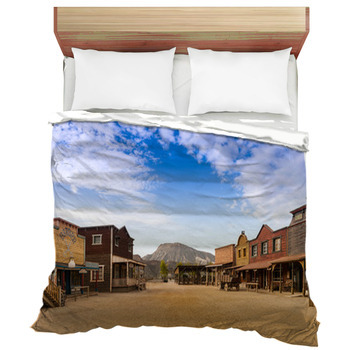 Not only cowboys have the chance to experience the real wild west, with VisionBedding's western bedding everyone can experience the greatness of the West. 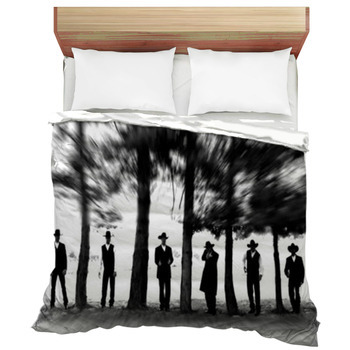 Our western bed linen choices have grown to such depths that you are sure to crawl under the covers, and feel like your under the stars of an open sky only to drift to sleep with ease. 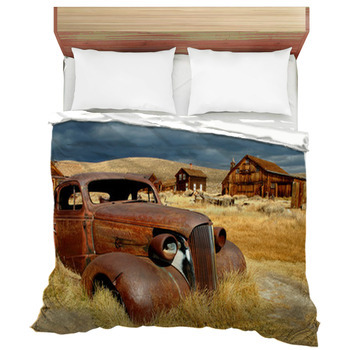 If you want some country vibes in your bedding, you can try out our country themed bedding with lots of design to choose from.